It’s the perfect venue for a congress, the hotel personnel were very nice, and the conference rooms were just as they should be. Spacious and clean guest rooms, lots of TV channels, even a full HBO package. The hotel location is fine as well, close to Piotrowska street. Very kind hotel staff and a really high standard. Staying at the DoubleTree by Hilton was a pure pleasure for me. I highly recommend it if you are going to stay in Lodz. Very good location with a nearby park where you can take a walk in a very nice atmosphere. 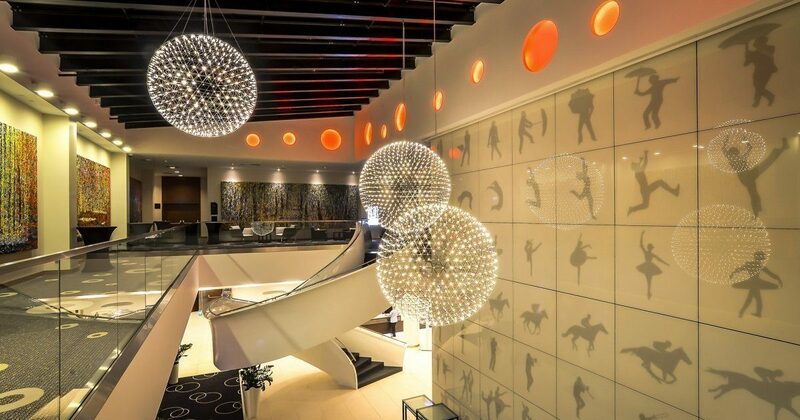 I highly recommend DoubleTree by Hilton Lodz. Sensational staff, just waiting to fulfill any of the guest's needs. Beautiful, clean and perfectly quiet rooms. The cinema hall is superb, we had a play and dance organised there. It was perfect. The staff were superb, the high overall quality of the stay, the room was clean and the location was just perfect. I truly recommend such a comfortable and relaxing family break !!! I really hope that I will be able to visit Lodz again really soon and to stay in this hotel once again. Sensational hotel - staff was very kind and polite, room was much bigger than I expected (…). There are astonishing city views from poll and jacuzzi.